AUTOCARES CABRANES, Autocare, Inchiriere de autocare, Autocare si autobuze, pe EUROPAGES. 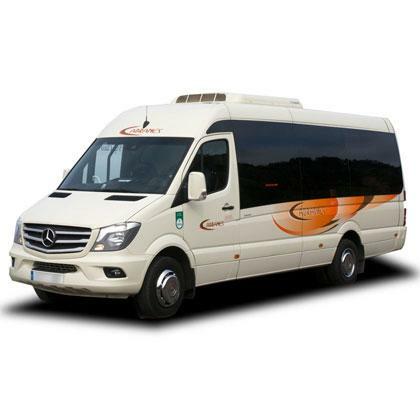 Since 1945 Autocares Cabranes has specialised in bus and mini-bus hire with the most modern fleet of vehicles in Asturias. Autocares Cabranes makes all its experience available to you to provide you the best solution. Ask for a personalised quote suited to your needs. Our quality and service are what make us stand out. Our fleet is one of the most modern in Spain in terms of equipment and technology.